It was a glorious day. After days of frigid temperatures, we finally had a respite from cold. Few days ago, it even dropped to actual reading of 10 below zero (degrees Fahrenheit), with wind chill factor of 30 below zero. At these temperatures, some motor oil, like 10w30, will freeze. Starting a car’s engine may be difficult (antifreeze will actually freeze at 40 below zero). With human’s blood freezing point at 31.1 above zero(just a tad lower than water’s), it is understandable that exposure to this level of cold can be dangerous. Our body by the way, maintains a normal temperature of 98 to 100 F to function properly. No wonder my brain freezes on frigid days. Today was different. We started the day with temperature just above freezing. I know that was still cold, considering that the optimal refrigerator temperature is 35 to 38 F. We reached 40’s yesterday, and today we rose up to low 50’s. It was warm enough that my children went out to ride their bikes. 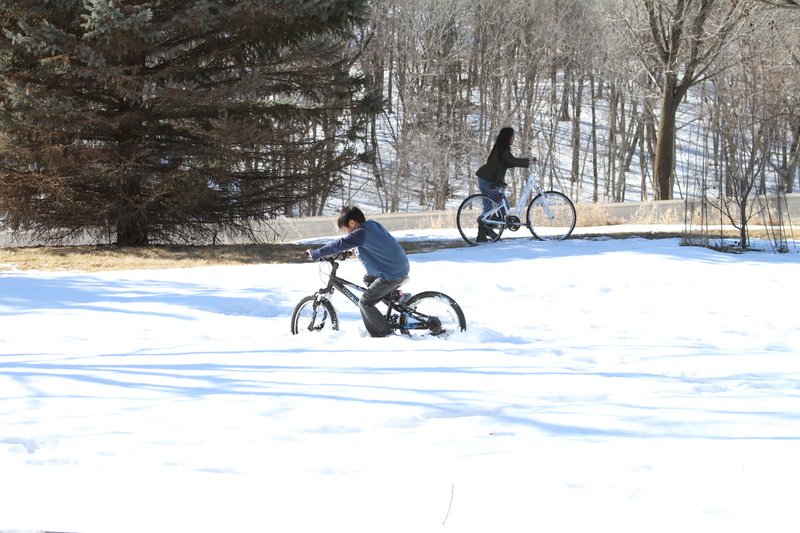 Yes, they rode their bikes through melting snow. Finally, a ‘global warming’ that I can appreciate. But wait. It is only mid February, and with official spring time not until 5 more weeks away. That means we can definitely dip down to below zero again sometime in the near ensuing days. But for now, I certainly enjoyed this arctic break. There’s one downside of this above freezing temperature: it melted my children’s igloo in our yard. But then again, they can build a much bigger one next time. Do I sound like I’m asking for more snow? No, I’m not. I’m just being a realist. The cold air is upon us once again. It was in the 20’s (F) in Des Moines this morning. We are below freezing already and it still more than 6 weeks before the official winter. To my disliking, the heavy jackets are already out of the closet. The days are also getting shorter. And for the past week or so, with the sunrise almost at 8 o’clock, meant that I was leaving for work when it was still dark. But that was only half depressing for at least my drive home has daylight, as the sunset is not until around 6 o’clock. 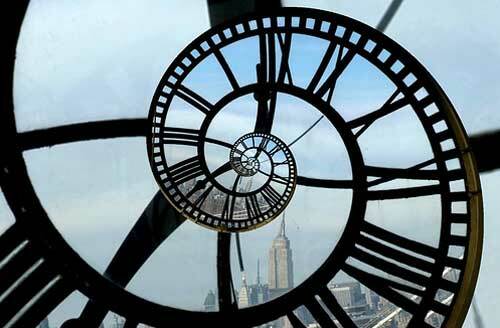 This weekend is the end of the Daylight Savings Time, which means the clock will go back an hour. Yes, we will turn back time! This will be a good respite for me, being on call last weekend, since I will have an extra hour of sleep. Woe to those who will be on call this weekend or that night in particular, as they have to work an extra hour. And come next week, I will see the sunrise at my home, before I leave for work. But that also translates to that I will be driving back home in the dark, which I don’t mind as it is the end of the day anyway. However, I know that with the days getting shorter and shorter, in a few weeks I will be leaving for work while it’s still dark, and coming back from work and it is already dark. Then that will be really depressing.